Do you know a child with DDH? Do you know what DDH? It is Developmental Dysplasia of the Hip. None the wiser I bet! DDH occurs when the ball and socket of the hip joint do not fit snugly together and whilst it affects between one and three children in every thousand, information and support is shockingly poor leaving parents feeling confused about what happens next. Lucas was born in 2009 and was diagnosed with DDH just before he was five months old. His mum author Natalie Trice was devastated and began her search to find out more about this condition. She found very little and what was out there was very much aimed at health professionals and way over the heads of many parents. When a child is diagnosed with any illness, the parents often feel overwhelmed and want know as much about the condition as possible. 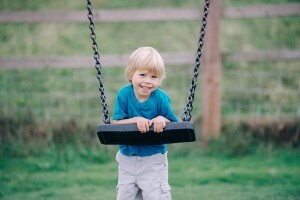 When Lucas was diagnosed with DDH I was terrified and my initial search for information threw up horrific images and worst-case scenarios that simply compounded my fear. Although this common congenital abnormality is not life threatening Natalie knows all too well that it certainly is life changing. If left untreated, can lead to long term disability, hip replacements and life long pain. 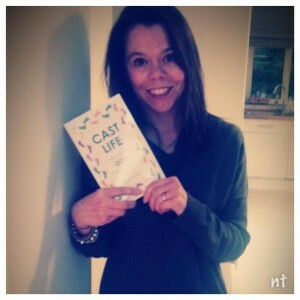 Raising awareness of the condition and supporting other parents receiving the diagnosis of DDH was the motivation behind her writing ‘Cast Life’, a comprehensive book that covers everything from easy to understand explanations about the condition and the treatments involved to the products available to make life easier for children in casts. It also looks at family life, dealing with emotions as well including first person stories and parent comments. This book is essential reading for the parents of children with the condition, as well as health professionals working with them and I would love to see it in all clinics around the world. With Lucas facing more surgery this autumn, I am really pleased to have done something to help others as I know how hard the waiting and recovery periods are. Cast Life isn’t loaded with medical jargon, but it gives the reader the knowledge and facts they need to get to grips with DDH so they regain a little bit of control and power in what can be a tough situation. Do you know a little button with this condition? How are they and their family coping? Hi there, it used to be called click hip and essentially that is what it is. I really hope people will find it useful and take some solace in our experience, which is ongoing. Is it a more serious version of ‘clicky hip’ that babies sometimes have? How distressing it must be for any parent whose child had a medical or physical condition. It is written in simple terms Tess so hopefully it will!